It's a setting you may have noticed across various accounts - two-factor authentication is becoming increasingly popular, for good reason. A password, no matter how strong it is, no longer has to be your full defense against hacking and other cyber threats. With two-factor authentication, there's an extra layer of security keeping your data safe. And, if you are running a site or platform with user accounts, even those of employees, adding two-factor authentication for your users is the smart thing to do, too, offering advanced security. Here's some more info to sway you: a study by Symantec show that 80 percent of data breaches could have been eliminated with the use of two-factor authentication, thanks to the combination of requiring something an employee/user knows (like a user name and password), something they have (a token, etc. ), and something they are (a fingerprint, behavioral pattern, etc.). With those numbers on your side, there's little reason to do anything but add two-factor authentication, and possibly even other managed threat detection services. At its most basic two-factor authentication requires users to confirm that they are who they say they are. That way, even if someone has access to another user's password, it will be much harder, if not impossible, to gain access to a system or account. Many people are familiar with the one-time password approach to two-factor authentication. Social media users who have turned two-factor authentication on may recognize this method from Facebook, Twitter, or Instagram. Once a user has entered a password they will be sent a one-time password or code, to the device or account of their choice (typically email, text, or an automated phone call). Users have to enter that code to fully access the account, so malicious users cannot get in. The password is the first factor and the one time code is the second. It's possible for users to authorize a specific computer or device to not need two-factor authentication using this method, if it is a trusted and known device. Similarly, the account can detect if someone is trying to log in from an unusual or unknown location or device and require the one time code. There are other more complex types of two-factor authentication, best suited for businesses and users with very strict security requirements. Biometric scanners can work as the second factor for security, scanning for a recognizable feature like a fingerprint, face, or retina. This may sound like something out of a science fiction film, but if you think about it, many modern smartphones unlock via facial recognition or a fingerprint sensor! Security keys are another second factor growing in popularity as it moves from the realm of tech companies to the general public. After putting in a password, users insert a security key via USB port to gain complete access. Users who employ this method do need to make sure they have the key in their physical possession. Whatever method you choose, for yourself or for your business or organization, two-factor authentication is fairly simple to implement but brings with it a whole host of advantages that go beyond simple security. The biggest benefit to two-factor authentication is of course the added security for important accounts, especially accounts where private or sensitive information is held. As cyberattacks and other threats continue to rise, having strong security in place is vital on both a personal and on a business level. But there are more things that two-factor authentication can do for you. Two-factor authentication is a way to be proactive about security. Relying on just a password typically means that users only know their account has been breached after it happens, when it may be too late, or very difficult, to recover the account and the information contained within. 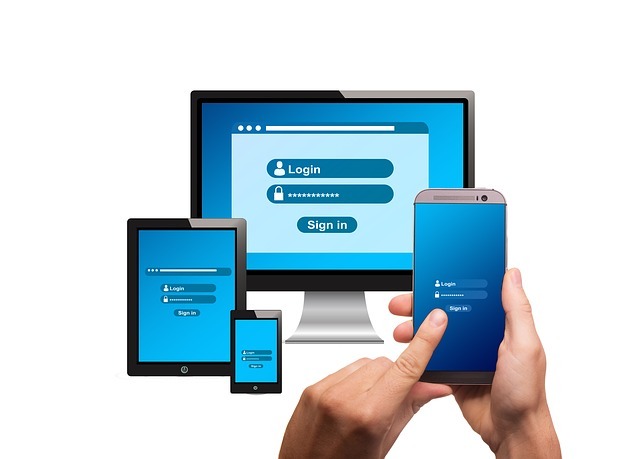 With two-factor authentication, users will receive the one time code and immediately know that someone has attempted access to an account via a password. They can then take other steps to strengthen the account such as changing the password to something new. As a business if you implement two-factor authentication you are showing your clients that you care about data privacy and you take it seriously. This simple step goes a long way. Integrated Computer Services is here to help you determine how to bring two-factor authentication on board for your users, as well as assisting with any other cybersecurity needs you may have. We are up to date on all the latest and emerging security technologies and our expert team is happy to answer any inquiries. Get in touch with us online, or call us at (888) 941-7770.